The deadline will be October 15, 2018 by 11:55p.m. Please make sure that you share it with your colleagues and other interested individuals. According to latest record that I have we had 31 people who registered as a KBIG members, unfortunately this is a decrease two year in a row – We had 47 and 35 members respectively in 2016 and 2017. I will post the call and promote it as much as can do the CRTNet and Kenneth Burke Society website, as much as I can. However, I believe, we as members can ourselves do some direct and personal promotion to raise the number back to 2016 level. Our minutes from the past conventions and some additional information about the KBIG is available also on the ECA website. You can see it here: https://goo.gl/mFE5eb. Please scroll down to find our interest group and click on it to see the documents and information. Please do not hesitate to email me if you have any questions or concerns. 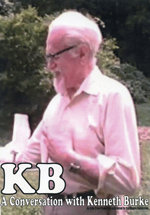 The Kenneth Burke Interest Group invites submissions for the 110th Eastern Communication Association Annual Conference (April 10-14, 2019 in Providence, RI). While all papers and panel proposals shall be considered, those that address the conference theme will be particularly welcome. Submissions may include competitive papers or panels. The use of AV equipment is not recommended unless it is necessary for the presentation of the content. ECA will now be using Attendee Interactive to manage submissions and reviews. This is the same system used by the National Communication Association, so you may be familiar with it. The deadline for submissions remains the same, October 15, 2018 at 11:59 PM. You will be prompted to create a new User ID and Password to submit your work. An email will be sent to the membership in the next couple of months to announce when Attendee Interactive will be open for submission. Additional information, including a link to the submission page, will be sent to ECA members on the day the submission website opens. al paper or additional documents (file types accepted: Word or PDF). Please notice that you can also request special scheduling due to religious or cultural needs should submitting papers, panel proposals, etc. I will then forward the special request to the primary program planner, Katherine S. Thweatt.